Big media area, long time use life, big air volume, low resistance, light weight and easy install . 4V rigid cell secondary air filter widely use for medium filtration in industry and commercial field. That is medium filter in clean room HVAC system. 1: The 4 V rigid cell secondary air filter use for filter more than 0.5um particles and dust in HVAC air conditional system ,that particular design for HVAC project at low resistance with big air volume. 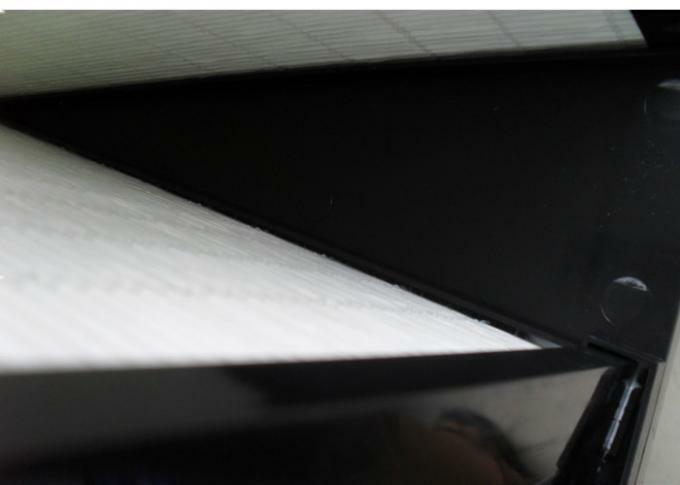 2: The filter media adopt the pp media or ultra-thin glass fiber with high dust holding capacity , the hot-melt glue spacing each pleats in regular so that achieve high dust volume , all of the media area can be used in completely . 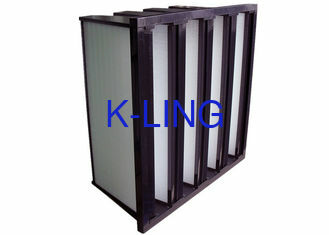 3: The polypropylene plastic frame can be Incineration when use out . 4: the filter with flange can replace by pocket air filter. 5: the 4V rigid cell secondary air filter efficiency range: F6,F7, F8,F9(EN779).